With an understated elegance, modern finishes and a flexible open floor plan, this beautiful five bedroom, seven full and three half bath home awaits a very fortunate buyer. From its soaring ceilings, luxurious baths, spectacular Great Room, gourmet Kitchen, stunning Master Bedroom suite and ideal open floor plan, it creates an entertainer's paradise. 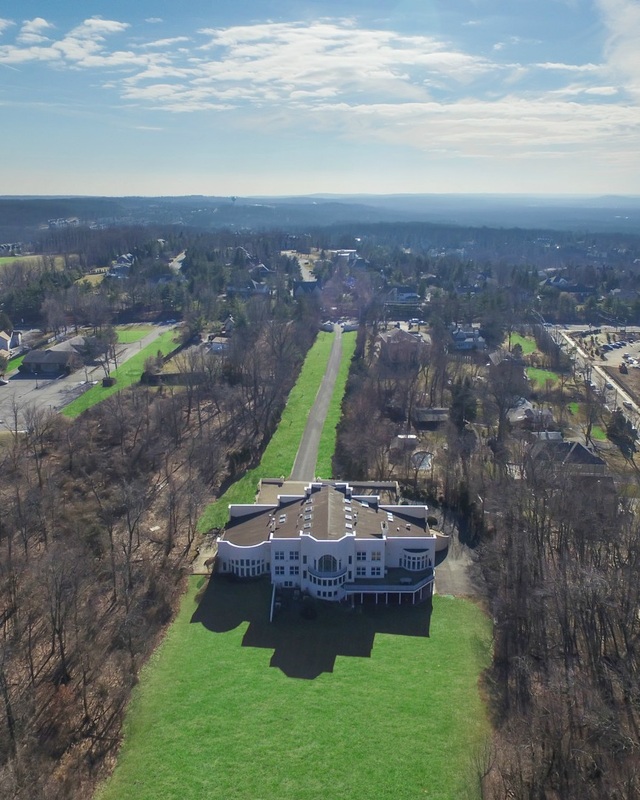 5 Bedrooms, 7.3 Baths, 3 Car Garage, open floor plan, custom upgrades throughout, stunning indoor pool, outdoor full-size tennis court, lush 5.9 acre property and so much more. Experience the upscale lifestyle and understated elegance of this custom built Livingston home, an entertainer's paradise where luxury and architecture meet. This home includes spectacular architectural details such as soaring ceilings and grand open spaces, fabulous custom finishes, a luxurious master bedroom suite, high-end bath upgrades, custom built-ins throughout, elevator to all three levels and a media room which was built to allow seating for hundreds of your closest friends and relatives. A soaring entry foyer, boasting high ceilings and wide entries, combined with an open floor plan and soft palette of neutral colors set against sleek flooring, were designed with today's home buyer in mind. An open concept main living area with lofted great room and nearby family room make this THE perfect home for frequent entertainers and those who appreciate architecturally interesting structures alike. At the heart of the home is a beautiful gourmet designer kitchen with professional appliances including Dacor, Bosch and SubZero, large center island with seating, expansive walk-in pantry, sunlit breakfast area and an adjoining formal dining room. All spaces in the home continue a modern, yet warm and inviting, white palette-based design. Nearby, a second catering kitchen ensures that there is always plenty of room for cooking. The second kitchen boasts a 36" Viking dual fuel range and a Bosch refrigerator and dishwasher. Plenty of storage in the home is complemented with a massive pantry in the second kitchen. Here you will also find a dumb-waiter which brings groceries from the garage and can ultimately reach the second floor of the home. 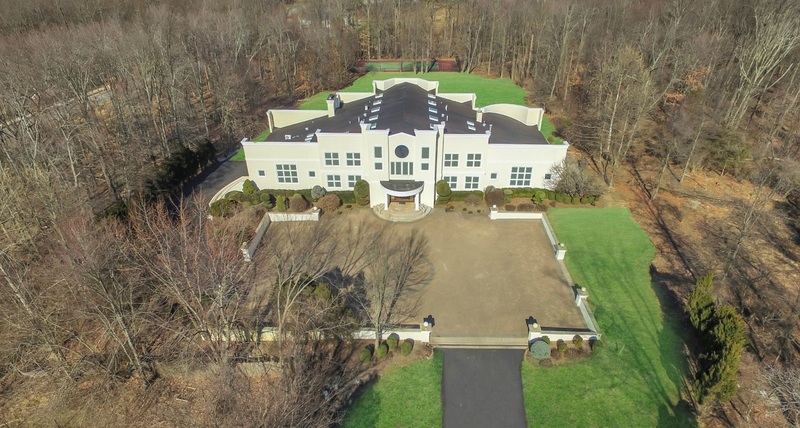 Soaring ceilings and intricate architecture are the centerpieces of this home. Built primarily to embody minimalism, the home tastefully embodies the use of clean lines and column supports. The lower level was designed primarily as an entertainment space. 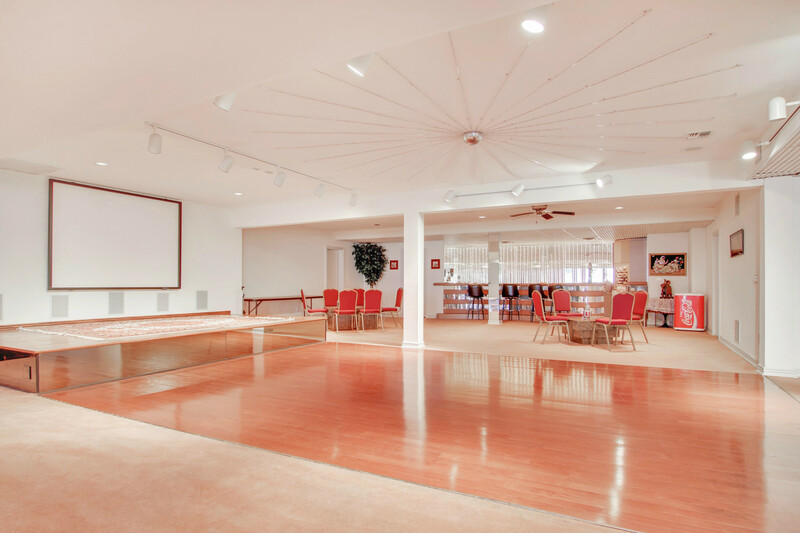 Easily able to accommodate gatherings of 100 or more, it boasts state of the art audio and video equipment, a built-in stage, separate third kitchen and two distinct entrances. Banquet halls will be a distant memory. The lower level also boast a full-service bar with refrigeration and stainless steel sink. Featuring an exceptionally functional floor plan, the 5 bedrooms on three levels offer the ultimate in flexibility. The hallmark of the home is a state-of-the-art indoor pool. Recently replaced plumbing guarantees that you'll be entertaining year round. Boasting dozens of windows and doors to an outdoor paver patio, you could easily accommodate all of your friends. 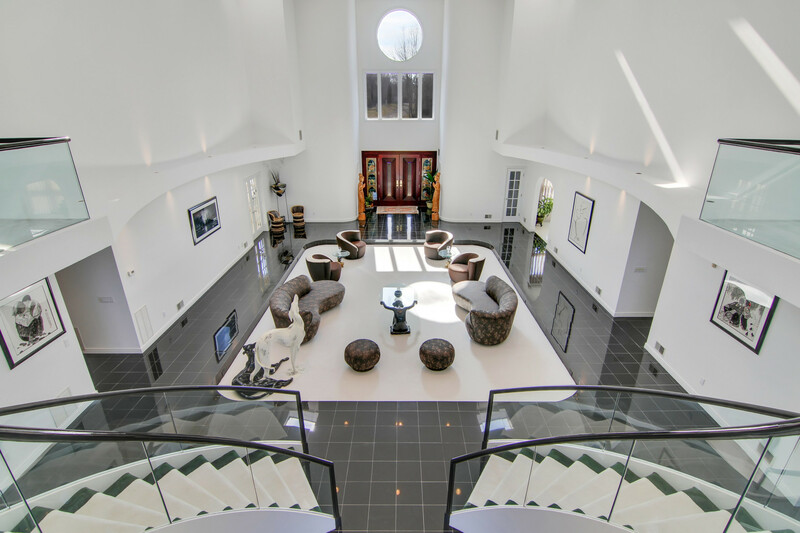 A dramatic staircase with steel and glass railings leads to an open second floor loft overlooking the great room. The romantic master bedroom is set off on its own in an expansive space and featuring an oversized bath that includes two vanities, deep jetted tub, stall shower and separate commode. Nearby, a dressing area gives room to the his- and her- custom-fitted walk-in closets. Extra leisure space is to be enjoyed in the expansive outdoor area. This home features a convenient deck leading out from the kitchen as well as a patio from the ground level. The piece-de-resistance are the expansive grounds which are lush with mature landscaping and privacy screening. 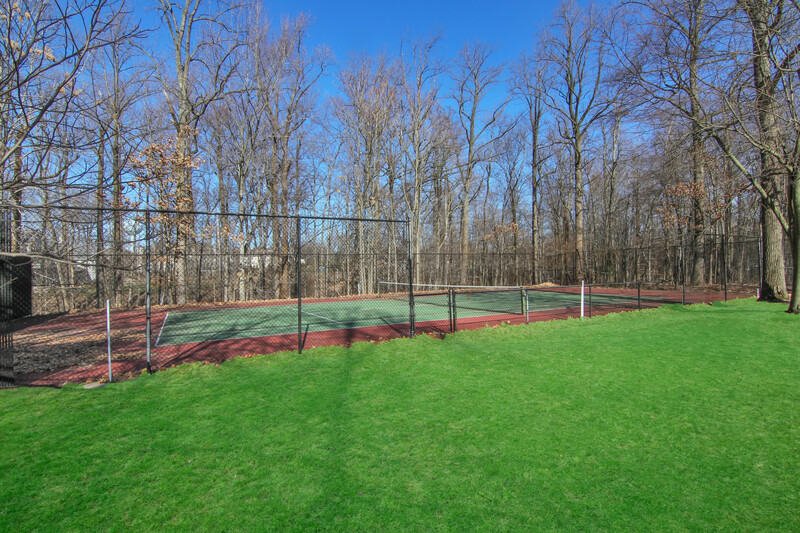 At the end of the property you will find a full-size tennis court complete with high fencing. Attractive extras include extensive custom landscaping, tinted windows, underground sprinklers, stereo speakers in many rooms, security system, central vacuum and so much more. 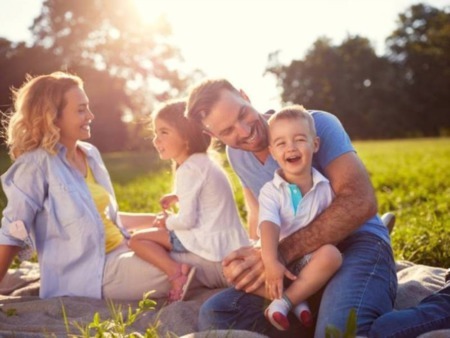 Close proximity to NYC buses and a short drive to local trains. Step into this extraordinary residence and prepare to fall in love.